The new study examined the link between cannabis use and pscyhosis. Daily cannabis use, especially of high potency cannabis, is strongly linked to the risk of developing psychosis, according to a case-control study from 11 sites across Europe, published in The Lancet Psychiatry journal. The study, involving researchers from the University's Department of Psychology and collaborators at King's College London, suggest that in cities where high potency cannabis is widely available, such as London and Amsterdam, a significant proportion of new cases of psychosis are associated with daily cannabis use and high potency cannabis. Many countries have legalised or decriminalised cannabis use, leading to concerns that this might result in an increase in cannabis use and associated harms. 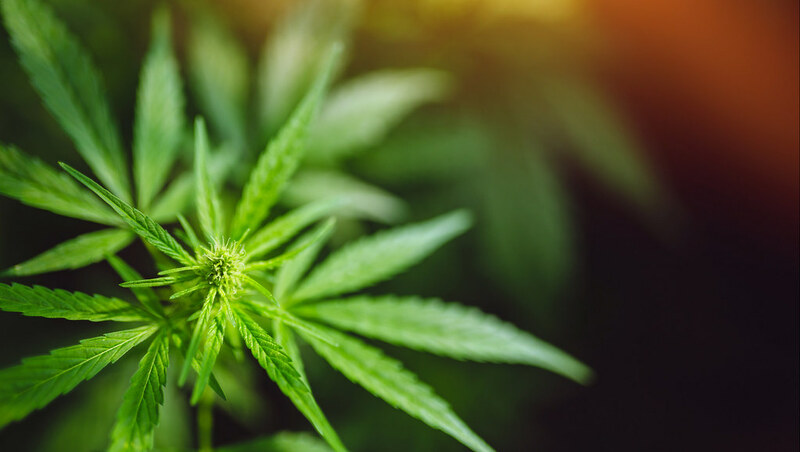 Observational studies and biological evidence support a causal link between cannabis use and psychosis, but until now, it has been unclear whether, at a population level, patterns of cannabis use influence rates of psychosis. Dr Marta Di Forti, lead author from the Institute of Psychiatry, Psychology, and Neuroscience at King's College London, UK, explained: "Our findings are consistent with previous studies showing that the use of cannabis with a high concentration of THC has more harmful effects on mental health than the use of weaker forms. They also indicate for the first time how cannabis use affects the incidence of psychotic disorder at a population level. Dr Tom Freeman of the Addiction and Mental Health Group (AIM) at the University of Bath added: "In this major international study across 11 sites in Europe and Brazil, we found that patterns of cannabis use were strongly associated with both the risk of psychosis and its incidence. We found that daily use of high THC cannabis was associated with a five-fold increased risk of psychosis compared to people who never used cannabis. Recent research from the same team examined the increase in cannabis potency seen across Europe over the past 11 years. The new Lancet study looked at 11 sites across Europe (and one in Brazil). First, the researchers estimated the prevalence of psychosis by identifying all individuals with first episode psychosis who presented to mental health services between 2010 and 2015. Secondly, they compared 901 patients with first episode of psychosis with 1,237 healthy matched controls to understand the risk factors associated with psychosis. The researchers collected information about participants' history of cannabis use and other recreational drugs. Using published data on levels of delta-9-tetrahydrocannabinol (THC), they estimated cannabis potency for the types of cannabis used by participants, and classified types as either high potency (over 10% THC) or low potency (under 10% THC). Daily cannabis use was more common among patients with first episode psychosis, compared to controls. 29.5% (266/901) of patients reported using cannabis daily, compared with 6.8% (84/1237) of controls. High potency cannabis use was also more common among patients with first episode psychosis, compared to controls. 37.1% (334/901) of patients reported using high potency cannabis, compared with 19.4% (240/1237) of controls. Once adjusted for other factors, the authors found that across the 11 sites, people who used cannabis on a daily basis were three times more likely to have a diagnosis of first episode psychosis, compared with people who had never used cannabis. This increased to five times more likely for daily use of high potency cannabis. Use of high potency cannabis was a strong predictor of psychotic disorder in Amsterdam and London, where high potency cannabis is widely available. In the Netherlands, the THC content reaches up to 67% in Nederhasj, and 22% in Nederwiet; in London, skunk-like cannabis (average THC 14%) represents 94% of the street market, whereas in countries like Italy, France, and Spain, herbal types of cannabis with THC content of less than 10% were still commonly used. For example, in Amsterdam, four in 10 (43.8%) new cases of psychosis were estimated to be linked to daily cannabis use, and 5 in 10 (50.3%) new cases linked to high potency use. Corresponding rates in London were 21.0% for daily use, and 30.3% for high potency use. If high potency cannabis were no longer available, the incidence of psychosis in Amsterdam would be expected to drop from 37.9 to 18.8 per 100,000 people per year; and in London from 45.7 to 31.9 per 100,000 people per year. The authors note that the data on cannabis use was not validated by biological measures such as urine, blood or hair samples. But they note that the cut-off of 10% THC for potency is conservative. The estimates on potency also do not include the proportion of cannabidiol (CBD), another important component of cannabis.